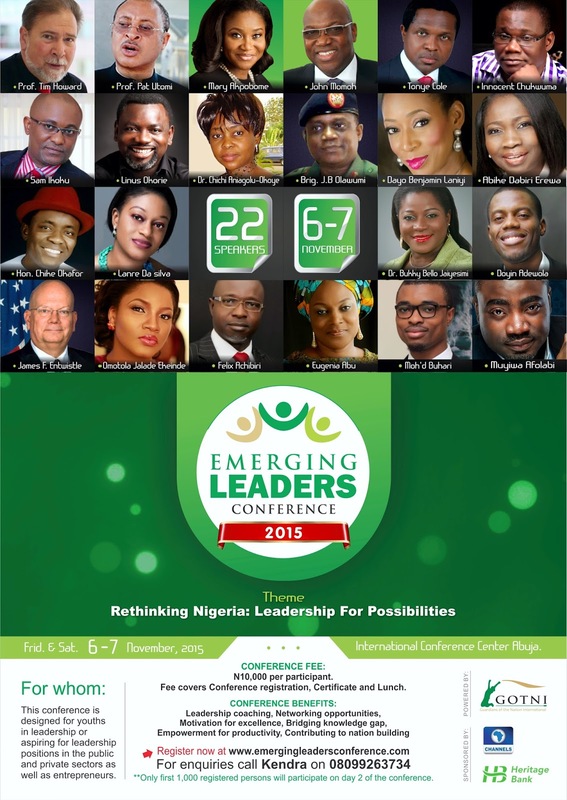 Nigeria's strength is in her youth and all over the world, the impact of the Nigerian youth is felt and being harnessed for development of Nations. 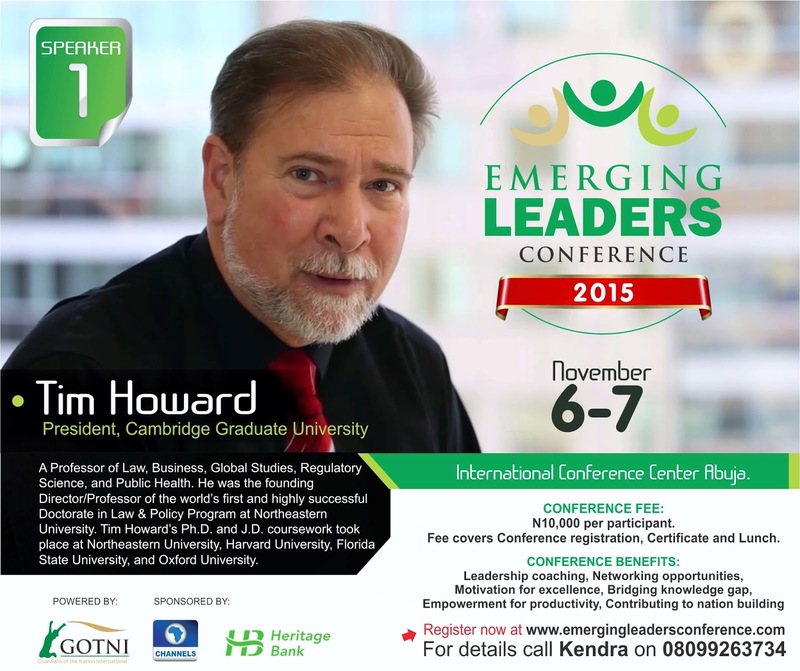 It is with this awareness that the Emerging leaders Conference was designed especially to provide more capacity for Nigeria’s emerging youth influencers and help them multiply their influence in other youth for a more empowered economy. Over 5, 000 youths has been part of this grooming and network of change makers. 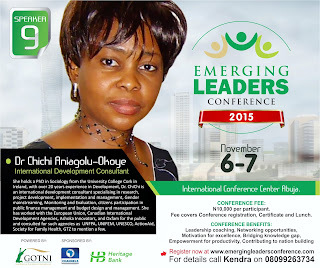 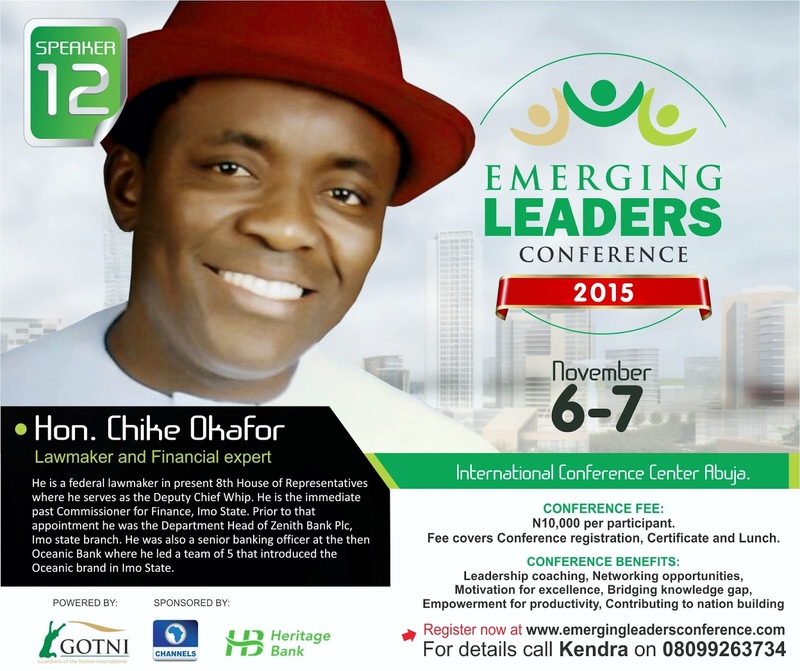 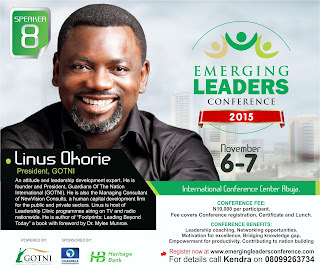 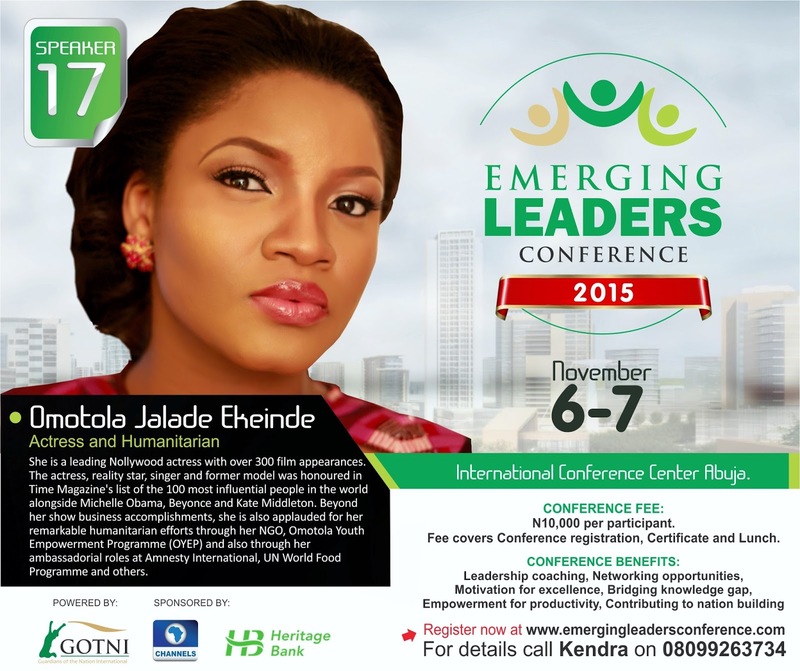 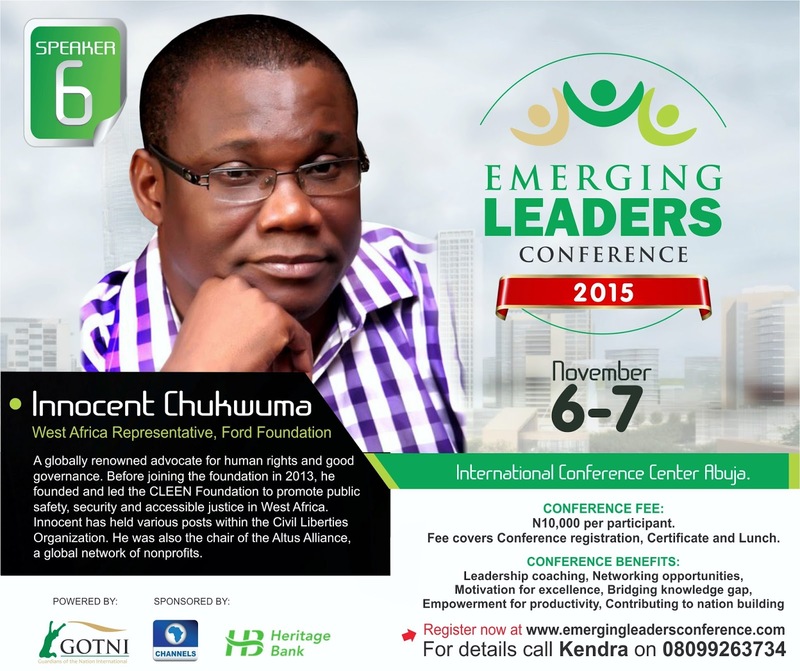 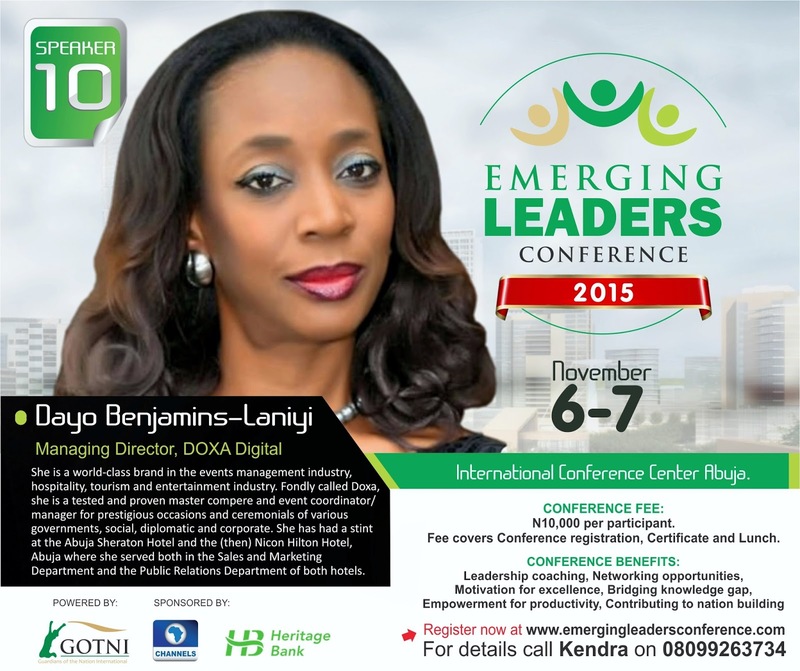 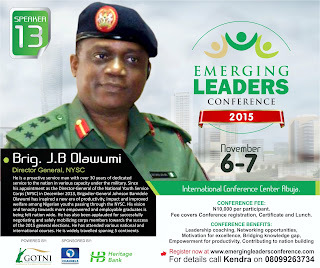 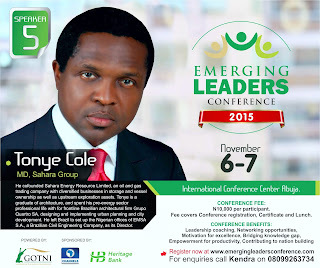 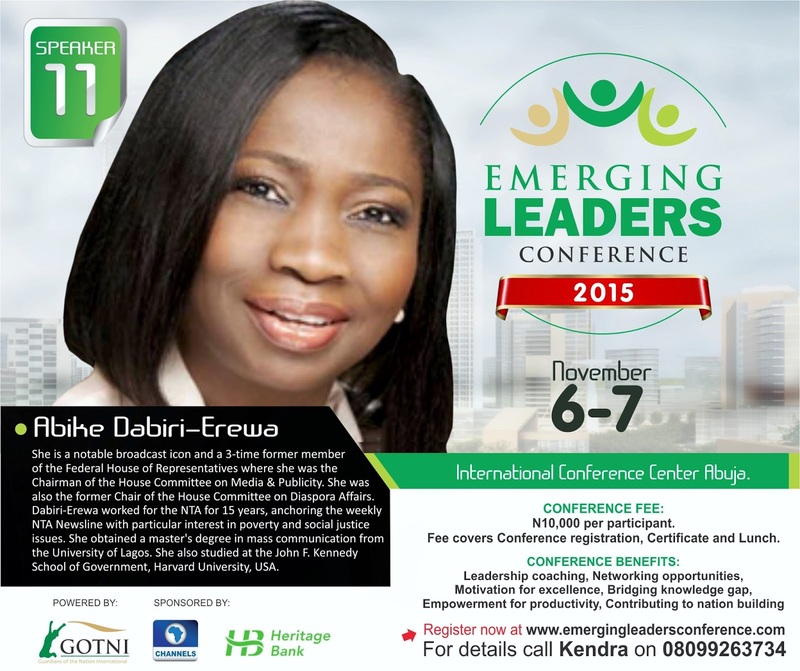 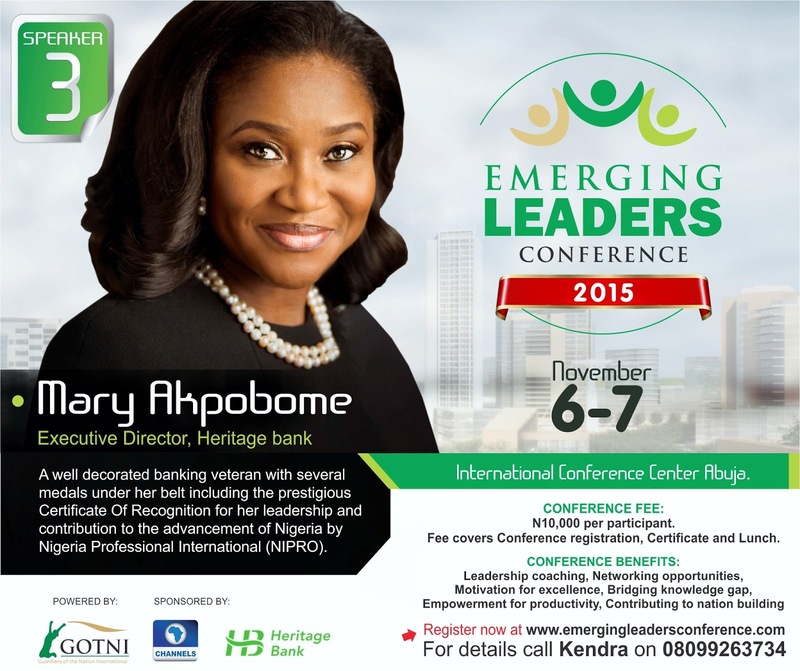 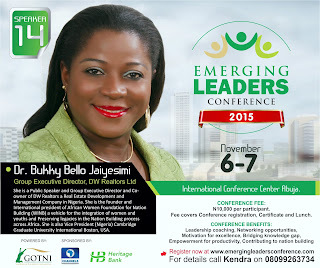 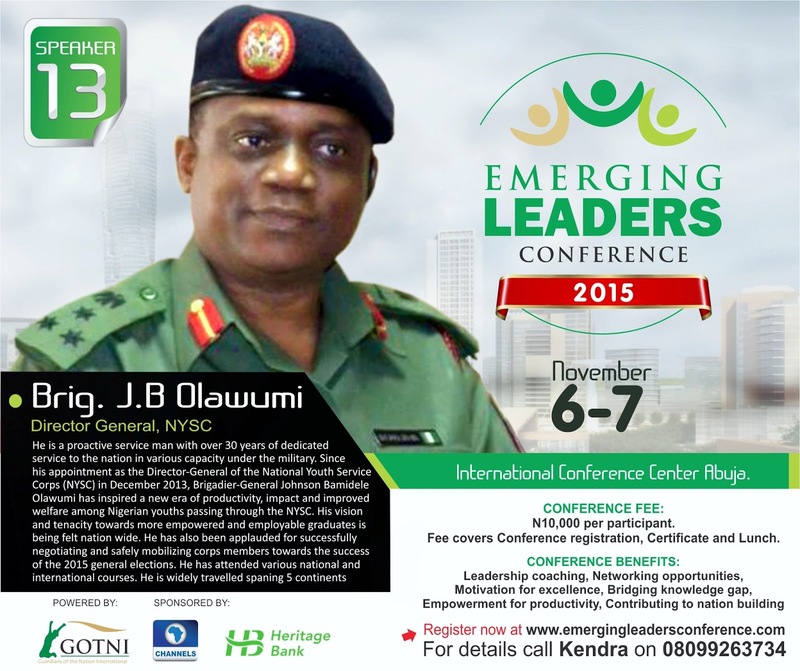 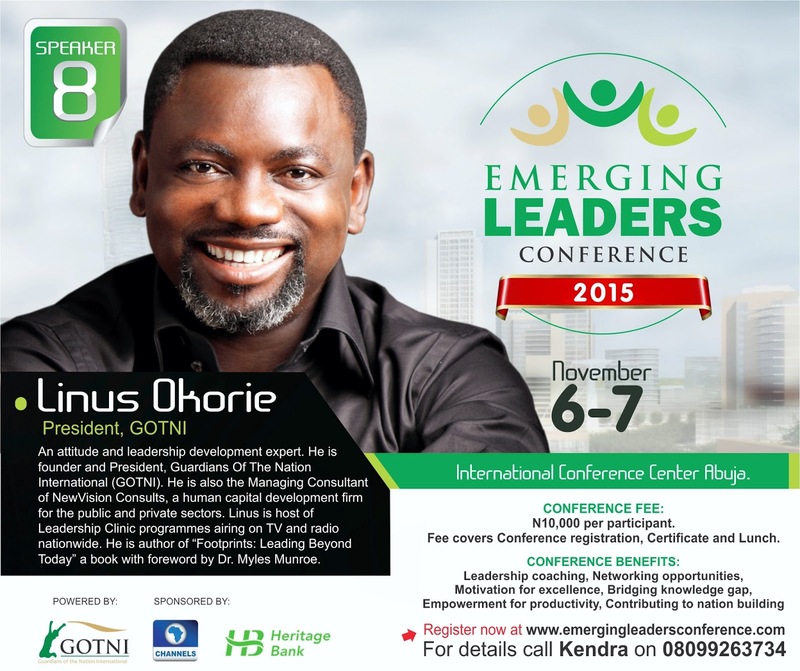 The Emerging leaders Conference 2015 holding on Nov. 6-7 is an expanded brand being that 3000 young people are being hosted, coming from all sectors of the economy with an aim to improve their economic output afterwards. 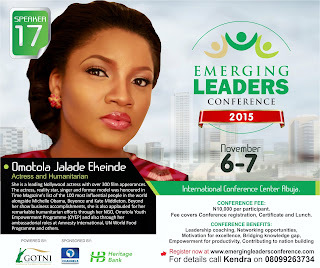 Expected youth participants are drawn from manufacturing, enterprise, politics, social change and workforce of both private and public organisations. 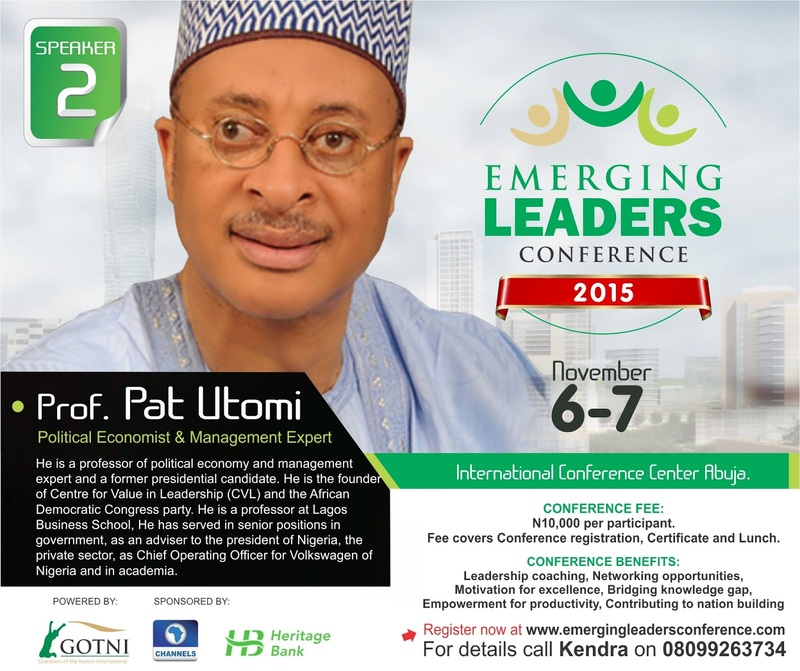 This conference also keenly puts mentors and mentees together for a robust interaction that infuses the sectors with energy from collaboration, so that other young people can follow. 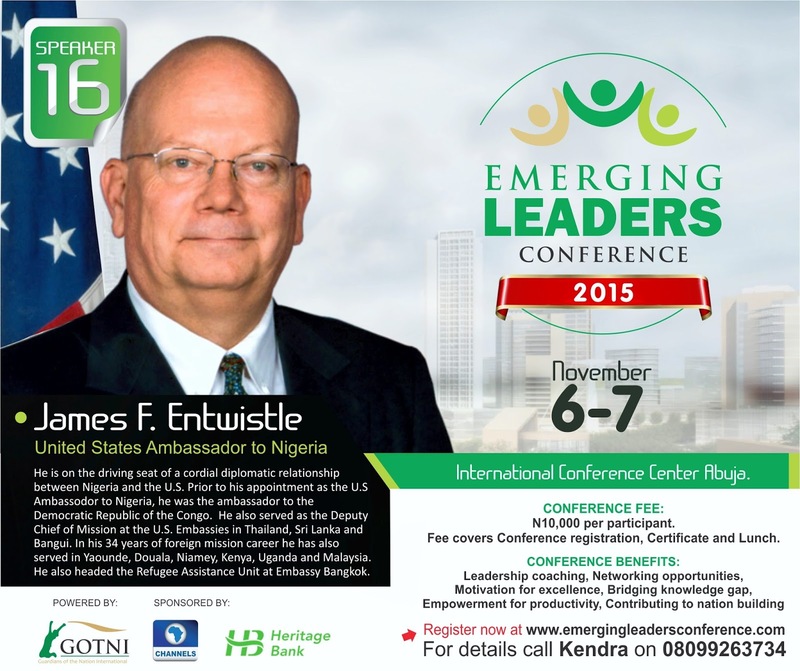 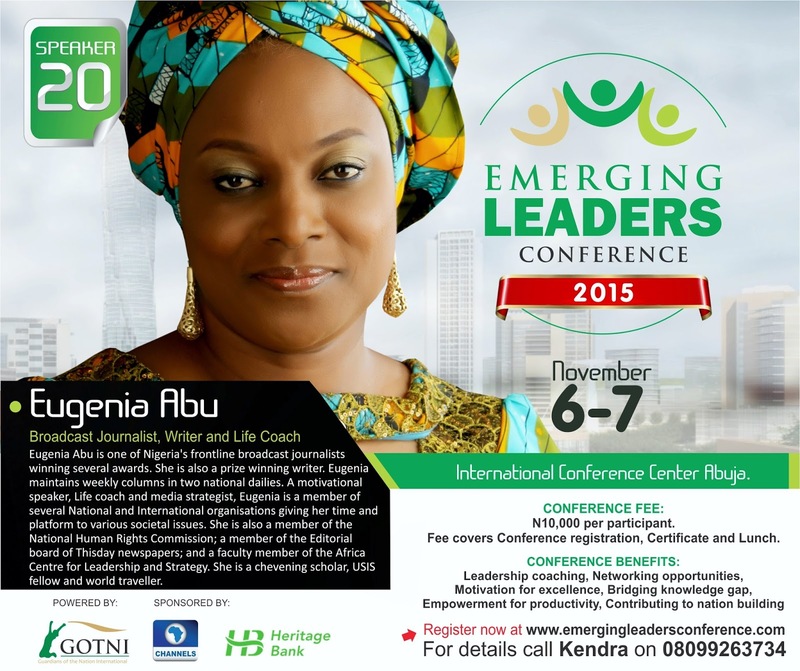 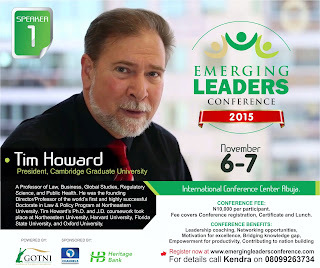 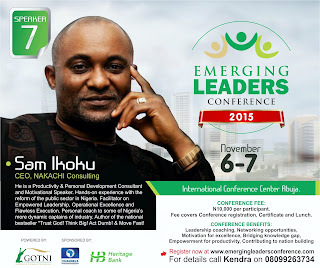 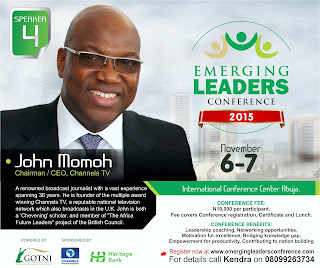 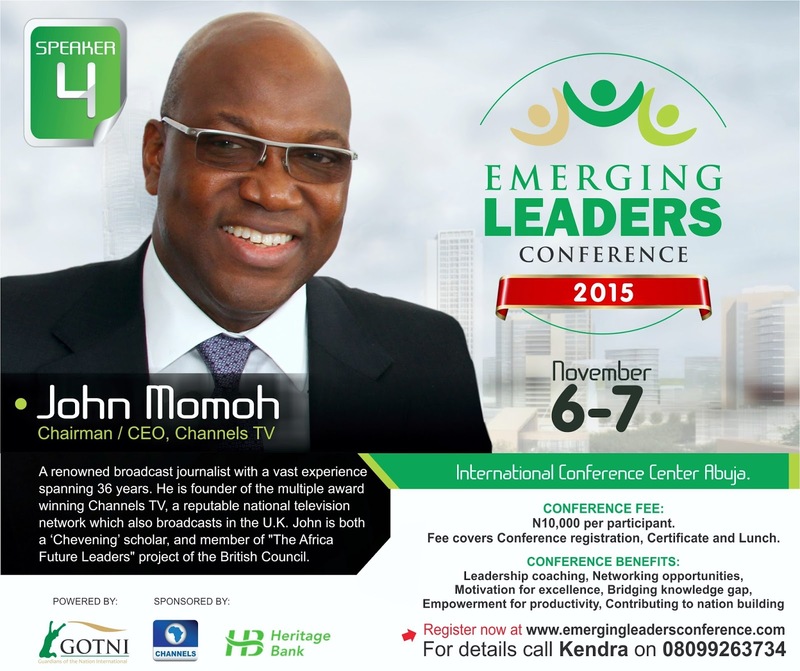 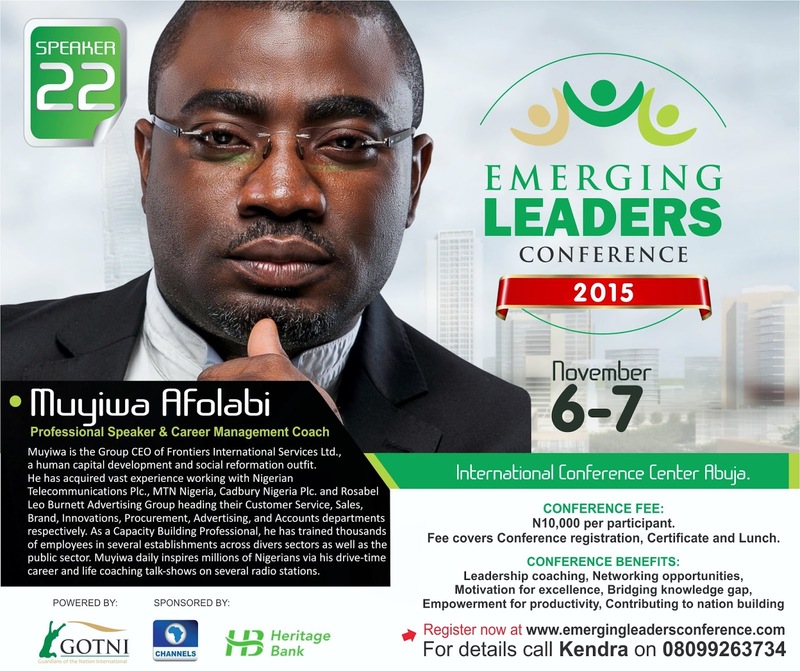 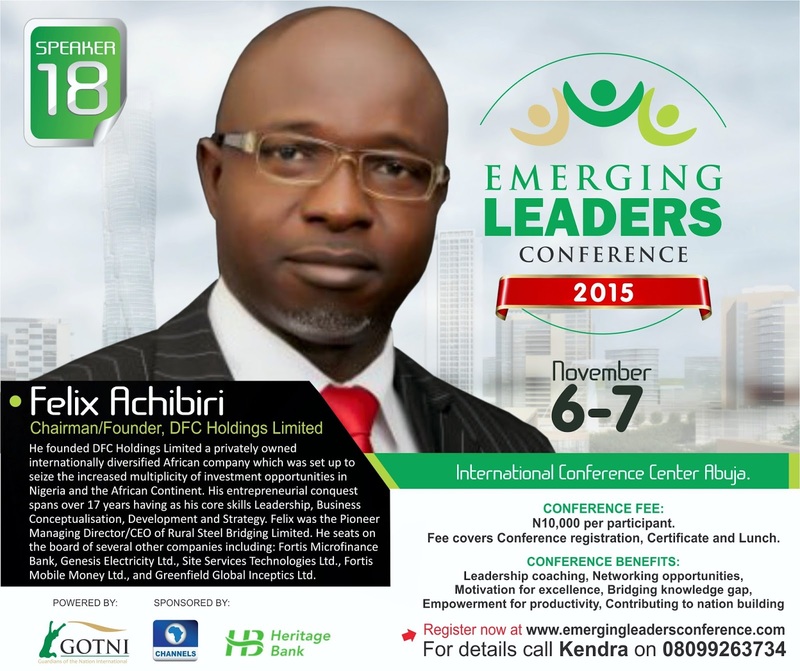 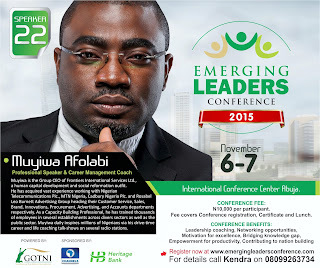 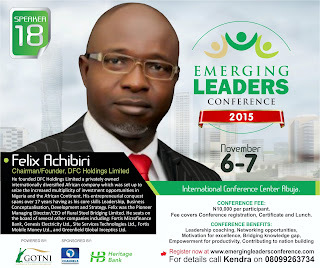 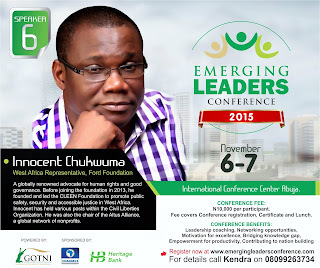 The conference which will be live tweeted via #ELC2015 will have headline speakers such as Tim Howard of Cambridge Graduate University, Prof Pat Utomi, Eugenia Abu of NTA, Omotola Jalade Ekehinde Nollywood actress and Human rights activist, Sam Ikoku of Nakachi consulting, John Momoh of Channels TV, Mary Akpobome of Heritage Bank Ltd, Innocent Chukwuma of Ford Foundation, Moh’d Buhari of Briclinks Africa, Tonye Cole of Sahara Energy, Dayo Benjamins Laniyi of Doxa, Doyin Adewola of Box Office, Chichi Aniagolu of Nike Foundation, Muyiwa Afolabi, Sonye Allanah and politicians such as Abike Dabiri-Erewa, Femi Adesina, Uche Nwosu, Hon. Chike Okafor amongst others. Only the first 1, 000 registered participants will be invited to attend the Day 2 of the conference. 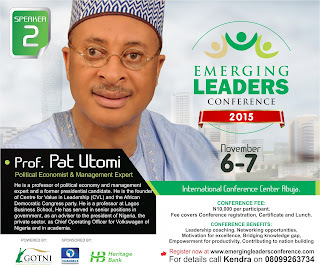 GOTNI launches a website for the conference at www.emergingleadersconference.com to drive the needed traffic and establish the impact of this conference. 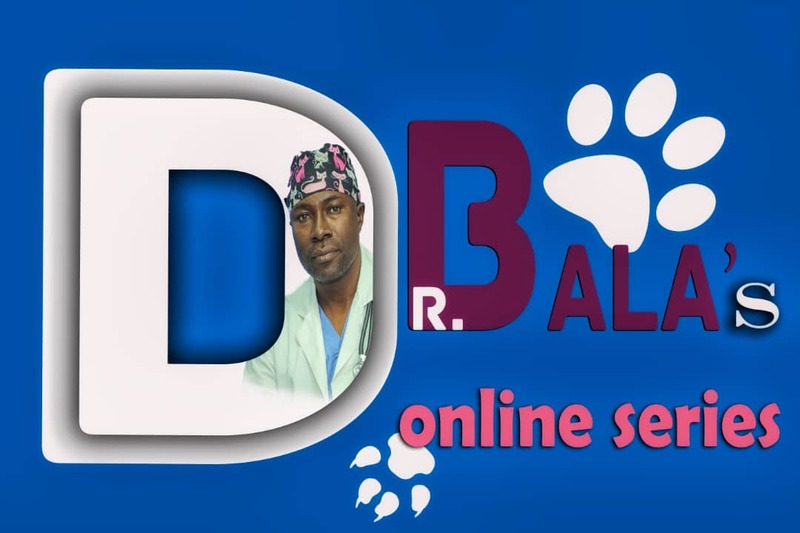 The website is open for registration to the public.